Handling, managing and disposing Hydrochloric Acid (HCL) is one of the cumbersome task. 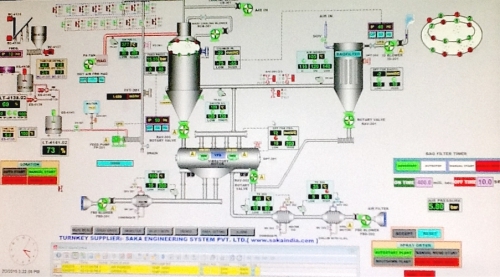 Many companies in process industry, end up manufacturing HCL as bi-product. HCL is not only hazardous but also has acute side effect on human body. Effective disposing of HCL is costly and difficult. HCL can be further processed to form Calcium Chloride which has a wide industrial applications and demand. 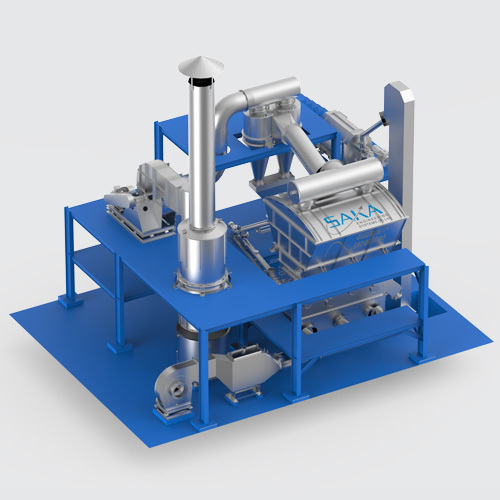 SAKA offers complete turn key solution for Granulation systems right from drying till packing of Granules. Our systems are widely used for granule formation for chemicals like Calcium Chloride, Magnesium Chloride, Calcium Nitrate etc. 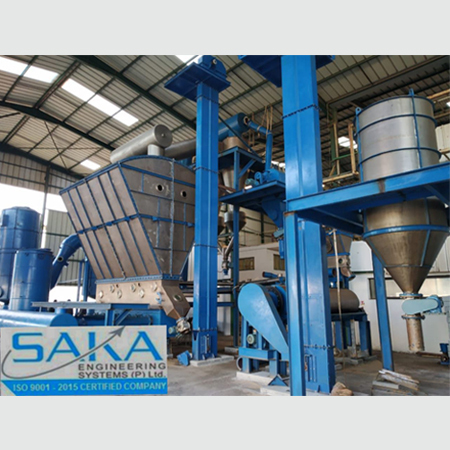 SAKA’s Granulation systems are custom built to provide desired size of granules. 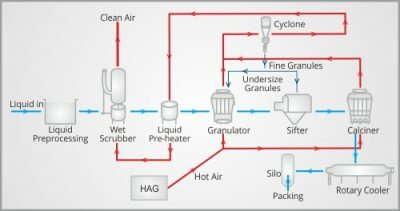 Our systems can convert various types of raw materials into free flowing and dust free granules such as aqueous solutions, emulsions or suspensions. 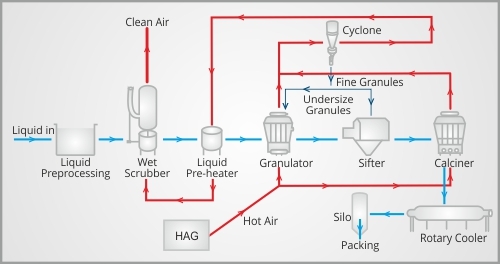 Beside this, waxes and other fusible raw materials can be processed in our Granulation system. 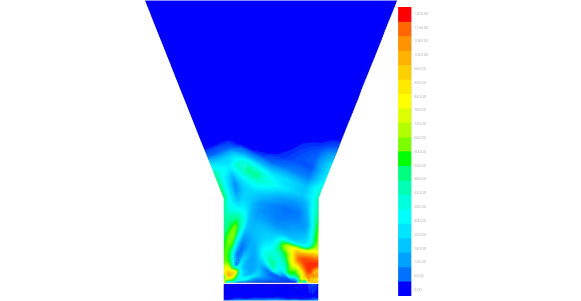 These types of materials are processed as melts, melt emulsions or melt suspensions to produce granulates. 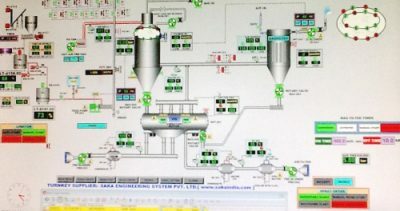 Being probably only Indian company manufacturing Calcium Chloride granulation Plant, SAKA’s Granulation plants are tested on advanced CFD analysis ensuring better performance and output efficiency. 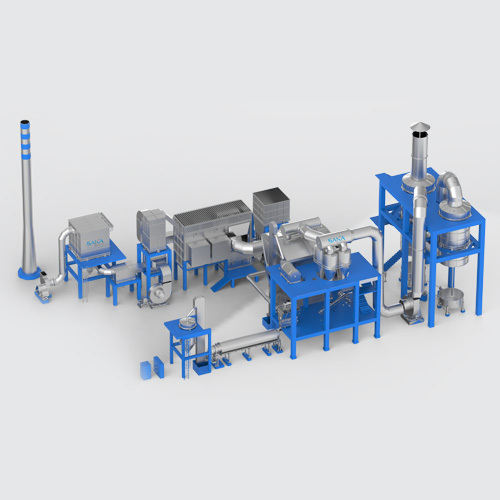 Granules Output – As the quantity inside the Fluid Bed Dryer increases it overflow through a a rotary air lock valve. 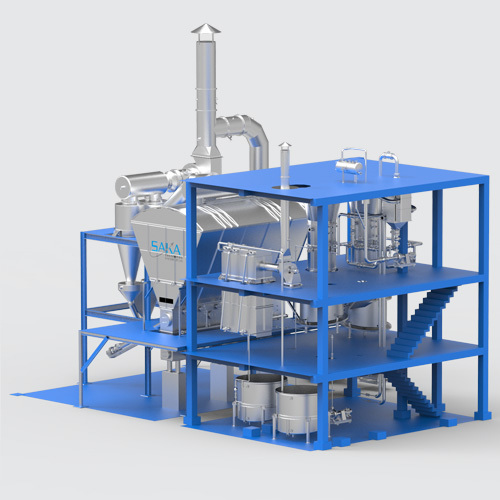 Sifter – The output product is made to pass through a sifter which segregates the granules based on there size.